Cancer is a leading health problem in India with approximately 1 million cases occurring every year. According to a 2012 study published in the Indian Journal of Palliative Care, cancer accounts for 8% of deaths in India. Head and neck cancer is the most common cancer of males in India and the fifth most common in females, reveals a 2014 study titled Head and Neck Cancers in Developing Countries. Head and neck cancers generally refer to cancers of the inner lining (mucosa) of the nose, mouth, throat and voice box, and the lymph nodes of the neck. 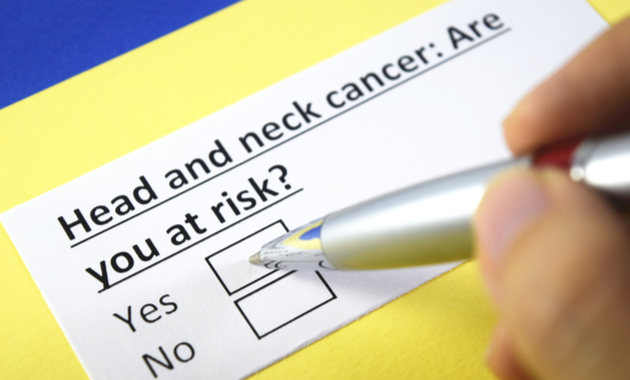 This occurs in around 90% of cases of head and neck cancers. The rest 10% comprise of the cancers of the thyroid and salivary glands, skin cancers and tumors arising from non-mucosal structures within the head and neck. Although head and neck cancers form the sixth most common cancer in the world, it forms the commonest cancers in India, and constitute about 30% of the total cancer load in the country. Knowing about the causes and risk factors of this type of cancer can help in the prevention and early detection of cancer. Dr. Ramandeep Kaur Consultant, Patel Hospital, Punjab sheds light on some of the common causes of head and neck cancers. There are certain factors which can increase your risk of cancer or can cause cancer. This includes right from smoking to exposure to radiation. Also, contrary to a popular myth, head and neck cancer (with the exception of medullary thyroid carcinoma) do not run in families. Here are a few common causes of head and neck cancer. Smoking: Smoking, which includes cigarette/bidi smoking or chewing tobacco over a prolonged period, is an independent risk factor for head and neck cancer. Benzo[α]pyrene diol epoxide (BPDE), a known carcinogen present in tobacco smoke causes structural changes in DNA, particularly those induced by oxidative damage. Quitting tobacco for a period of one to four years can lower the risk of head and neck cancer by around 30% and reduces the risk of laryngeal cancer by 60% after 10–15 years. Moreover, after 20 years of quitting smoking, the risk of developing oral cavity cancer is reduced to that of a non-smoker. Alcohol: Studies[2,3] have reported that prolonged and excessive intake of alcohol can put you at risk of head and neck cancer. In addition, higher consumption of alcohol over a shorter period was more harmful than low alcohol consumption over a longer period. Hence, the higher the frequency of drinking alcoholic beverages, higher is the risk of head and neck cancer. Moreover, the beneficial effects of quitting alcohol on the risk of developing head and neck cancer can only be observed after more than 20 years. This means that it takes more than 20 years for a drinker to have a risk similar to that of a non-drinkers after he quits. Hence, sooner you quit, the better for you. Betel quid: Betel quid (commonly known as paan) chewing is an ancient practice common in many countries of Asia including India. In its most basic form, betel quid consists of betel leaf (Paan leaf, Piper betel), areca nut (Supaari), the main psychoactive ingredient, and slaked lime (Chuna, calcium hydroxide). Areca nut is said to be the fourth most commonly used psychoactive substance in the world, after caffeine, nicotine, and alcohol. Use of areca nut in any form is not safe for oral health. Areca nut alone is a confirmed carcinogen which is associated with a premalignant condition called oral submucous fibrosis (OSMF) and oral cancer. The risk of developing submucous fibrosis (which is unique to the Indian population) is five times more in betel quid chewers as compared to non-chewers. Moreover, if you drink alcohol, the risk increases to further 3-fold. HPV (Human Papillomavirus) infection: The overall prevalence of HPV in Head and Neck Squamous Cell Carcinoma (HNSCC) is around 50% with the highest prevalence in cancers of the tonsil and base of the tongue. The HPV prevalence in India ranges from 33.6% in the Eastern region to 67% in South India and 15% in Western India. HPV-16 is the most common type, being present in 30.9% of oropharyngeal carcinomas, 16% of oral cancers, and 16.6% of laryngeal cancers. However, there is no evidence to show that HPV vaccination may prevent head and neck cancers. Exposure to certain chemicals or irritants: It is been reported that exposure to certain chemicals such as nickel, arsenic, chromates and wood dust, which are mostly occupational irritants can increase your risk of cancer. It is also shown that long-term (chronic) irritation from dentures, sharp teeth or hot spicy foods can lead to head and neck cancer. Prior exposure to radiation can up the risk of thyroid cancers, which is also a type of head and neck cancer. 1. Guru K, Manoor UK, Supe SS. A comprehensive review of head and neck cancer rehabilitation: physical therapy perspectives. Indian J Palliat Care. 2012 May;18(2):87-97. 2. Joshi P, Dutta S, Chaturvedi P, Nair S. Head and neck cancers in developing countries. Rambam Maimonides Med J. 2014;5(2):e0009. Published 2014 Apr 28. 3. Shaw R, Beasley N. Aetiology and risk factors for head and neck cancer: United Kingdom National Multidisciplinary Guidelines. J Laryngol Otol. 2016 May;130(S2):S9-S12. Are Your Silver Fillings Toxic To Your Body? ← 7 Indoor Plants You Must Add To Your Surroundings To Fight Air Pollution!